My subscription to the best Chess magazine ever published in the history of the Royal Game, New In Chess, expired with the 2017/6 issue. Although I would like to renew financial conditions due to health issues, etc., are such that the decision was made for me. Living on a fixed income requires sacrifice. I had extra money after deciding to postpone dental work until spring and there were these two Chess books I’ve wanted to read for quite some time, Insanity, passion, and addiction: a year inside the chess world, by GM Danny Gormally, and Ivan’s Chess Journey: Games and Stories, by GM Ivan Sokolov. Greg Yanez of Chess4Less.com sent out an email announcing his Black Friday sale on Thursday evening and I was about to clear everything in order to listen to the weekly edition of Phenomenon Radio with Linda Moulton Howe (http://kgraradio.com/phenomenon-radio/) so I clicked on and examined all ninety pages of Chess items for sale, while listening to the program, ordering the above mentioned books and the new issue of New In Chess magazine because not only is it the best Chess magazine in the universe, but I am 67 and tomorrow is today. Alas, the issue contains book reviews by GM Matthew Sadler of two books on my wish list, The Rise and Fall of David Bronstein, by Genna Sosonko, and Guyla Breyer, by Jimmy Adams (published by New In Chess), both of which earned five, count’em, FIVE STARS! Two more books, or another subscription to the best Chess magazine in the universe? Oh well, I can take solace in that no matter how I choose to spend my money I cannot go wrong! I sent my order that night and had it with the US Mail Monday at noon! I worked at the Oxford Bookstore on Peachtree road in the Buckhead section of Atlanta in the late 70’s-early 80’s, and at Oxford Too, a place for used and remaindered books and things like old magazines, later in the 80’s, and once managed a Mr. K’s bookstore on Peachtree road in the same area of town, before quitting to play Backgammon full time. I sold books and equipment with Thad Rogers on the road, and also at the Atlanta Chess & Game Center, aka, the House of Pain, so I know more than a little about selling Chess stuff, and I am here to tell you that one simply cannot go wrong dealing with Chess4Less! The 2017/7 issue of NIC is a wonderful issue. I recall the Nashville Strangler’s wife telling me that when a new issue of NIC arrived she would tell her children, “We have lost daddy for a couple of days.” This issue is a prime example of why. Although I would like to give the complete game, including commentary, right out of New In Chess I must stop the comments here, because there are copyright laws and the last thing I need on my limited, fixed income is a lawyer breathing down my neck! I suggest you purchase this issue as it would truly be “cheap at twice the price.” Think of it this way…back in 1968 we would skip the awful lunch at our high school and drive to Mrs. Jackson’s, where we would obtain a meal consisting of a meat, three veggies, roll, iced tea, and dessert, all for only a buck. A meal like that will set you back ten dollars these daze, so an individual copy of the greatest Chess magazine in history will cost you about the same as that meal at Mrs. Jackson’s because that ten spot in your pocket has the purchasing power of that single dollar bill “back in the day.” If you purchase a subscription, you are making out like a bandit! I mean, where else can you obtain this kind of teaching for so little money? If you play the Najdorf, or play against it, you have just increased your understanding exponentially, and the magazine gives this to you each and every issue, plus so much more! 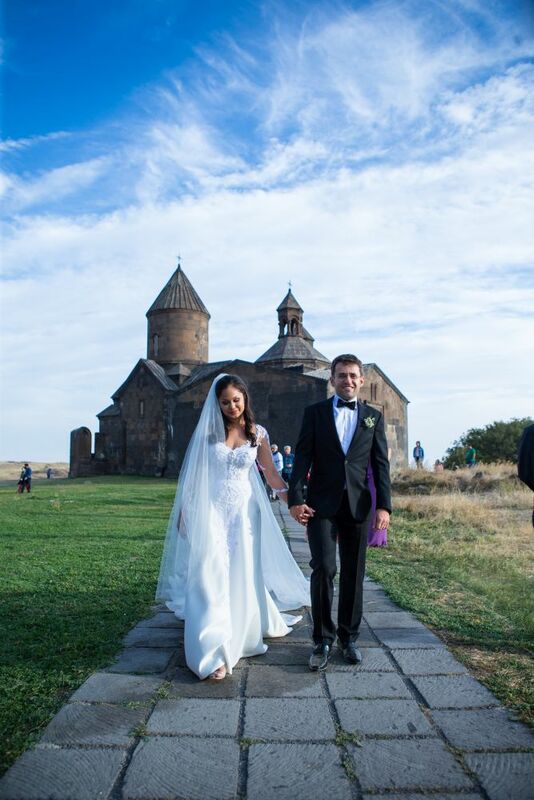 GM Levon Aronian and his new bride, Arianne Caoili are pictured on the cover of NIC 2017/7 in wedding garb. I could not get into the magazine, thinking about how thrilled they had been, so I walked over and told the father I would be happy to play the boys after using the mens room and purchasing a refill. “Play ME!” said the youngest. “No. PLAY ME!” yelled the eldest. I offered to let them battle it out for the right to play, but the father said they would only be there about another half hour. “Besides,” he said, they have already played today.” I asked who won and learned the game had been drawn. “Who had Black?” I asked. The older one said his brother played Black. “Then he was the winner because it is more difficult to win with or draw with the black pieces.” The younger Bomar vehemently agreed with that! Fortunately the father determined I would play the oldest because the youngest one is the most aggressive. The young boy then went into a rap about how aggressive is his chess, but piped down when his father said he meant that the young one was the most aggressive when it came to getting older players to play. The young fellow pushed hi d-pawn forward two squares while continuing to talk about how they had studied all the openings and he was ready for anything, until I played f5, when he said, “Except the Dutch.” Nevertheless, he played a fine opening, castling on the queenside, while I castled on the opposite side. It was looking like a game in which both sides would attack on opposite sides, which he did prematurely, losing first a pawn, then allowing me to take his bishop, forking his King & Queen, bringing down the house. We discussed the game and when he mentioned something about “Attacking in the direction your pawns are pointing,” I asked who was teaching him. He responded it was his father, so I asked him, learning he is not a chess player, but had read some chess books so as to be able to teach his sons. I also learned they have a house in the Glorious Mountains of Western North Carolina and have been to the Rocky Mountain Chess Club, “held in a bookstore.” He was shocked to learn I have been to the gathering of the Dixie Chess Confederacy at the Blue Ridge Book Store on Thursday afternoons, and knew all of the players he mentioned, and one I mentioned, my friend Bruce Goodwin. It is truly a small chess world. I have been following the Chicago Open online the past few days. In particular the games of the Frisco Kid. That would be NM Richard Francisco, a “product” of the scholastic movement in Georgia of the past decades. Richard is a personable gentlemen whom I admire greatly, and I always follow his progress in any tournament. I would like to share a couple of games he has played while carrying the colors of our Great State while in the land of the North. First I would like to mention a game annotated by the Frisco Kid on the new Georgia Chess News, an online magazine. The game is, Francisco, R – Baghwat, N USATS (Round 2), and can be found here: (http://georgiachessnews.com/category/topboard/games/). After going over at a game I go to the new Chessbase database (http://database.chessbase.com/js/apps/onlinedb/), and/or (http://www.365chess.com/) to see where the players have varied from the “book.” These are the sources I used to find the additional games. Richard could well have won that game, and the same could be said for the next, heart breaking, game. 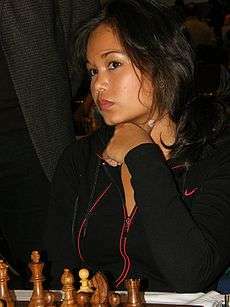 It is possible in chess to play well and have little, or nothing, to show for it.